NEHA is pleased to announce the launch of our new learning management platform. This new platform contains NEHA’s entire library of resources including trainings, webinars, and e-learning course catalog, which is free to all active NEHA members and can be used to earn continuing education credits (CEs) towards a NEHA credential. Improved interface that allows users to easily find and access the resources they need. No delays in accessing content. Content can be accessed right away once a NEHA membership is active. 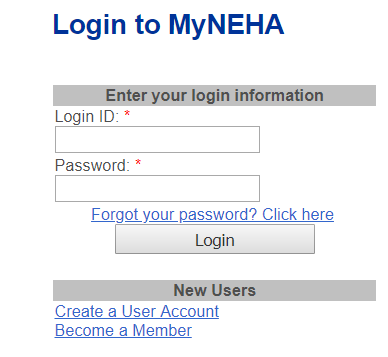 Members can use their current MyNEHA login credentials to log in to the platform, meaning you only need to remember one username and password! For NEHA credential holders, continuing education credits will automatically apply to your account once you’ve completed the course (no need to self-report your credits). Available for NEHA members and attendees of the Annual Educational Conference & Exhibition (AEC). AEC attendees can only access courses for the year they attended the conference. Recorded during NEHA’s Annual Educational Conference & Exhibition, our e-learning courses reflect current and emerging issues in a variety of environmental health topics ranging from food safety, water quality, climate and health, and much more. Available for NEHA members and nonmembers. Users can access courses from our many webinars and virtual conferences such as the Enhancing Environmental Health Knowledge (EEK): Vectors and Public Health Pests Virtual Conference, IDEA EH Virtual Conference, and our Body Art and Environmental Health webinar. 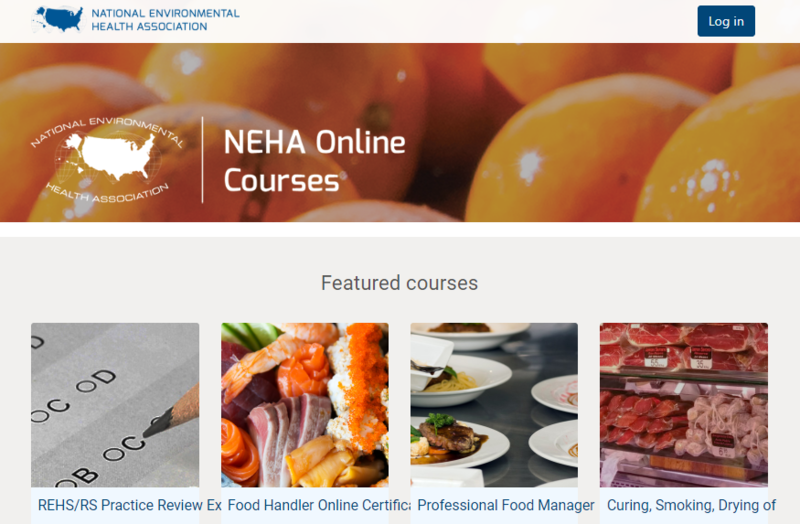 NEHA partners with organizations such as the EPA, CDC, and FDA to bring professionals the very best trainings and workshops in a variety of environmental health topics such as private well and water quality, foodborne illness outbreak, emergency response training, and much more. This new platform will be a highly valuable resource for NEHA members in their professional development. Log in to your MyNEHA account. New users will need to create an account. 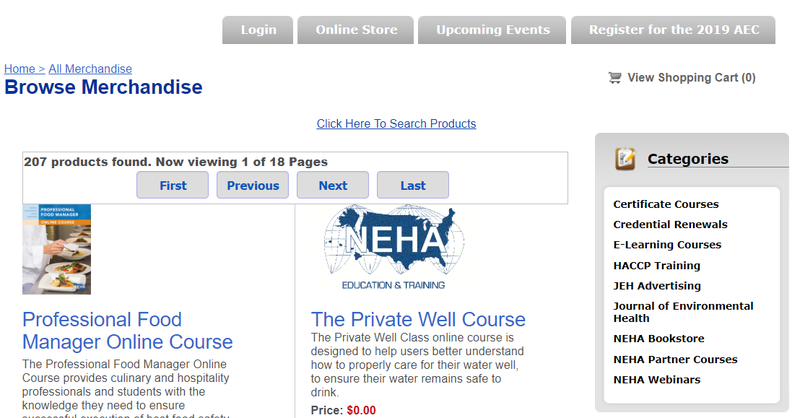 Click on the “E-Learning Courses, NEHA Partner Courses, or NEHA Webinars” links located in the Categories section on the right side of the page. Upon completion of the checkout process, you will receive a confirmation e-mail with a link and instructions to access the e-learning courses on our new learning management platform. For credential holders, continuing education credits will automatically apply to your account after you complete the course and fill out the course evaluation.